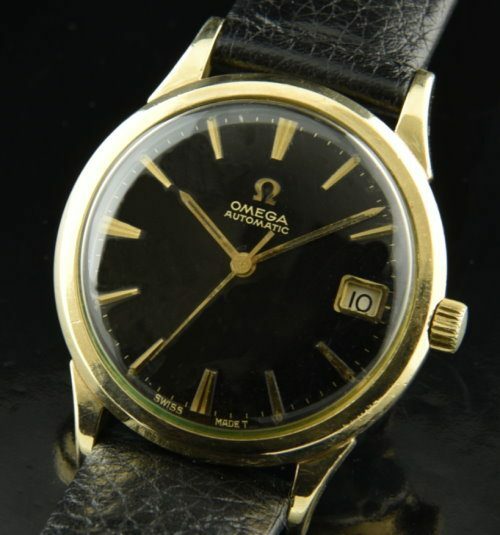 This Omega automatic dates to 1965 and measures 34mm. in a gold filled OMEGA case with steel screw back. The lugs extend to 42mm. 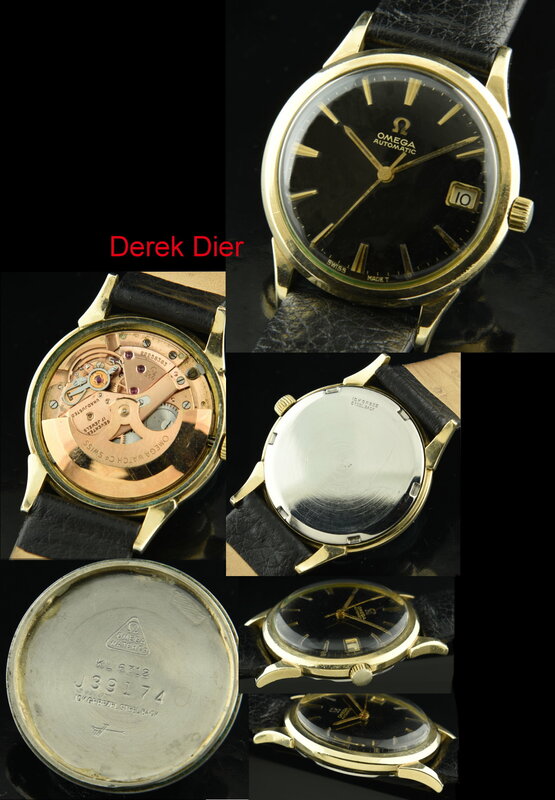 The dial was expertly restored and looks perfect. The automatic winding caliber 560 movement is accurate after a recent cleaning by our watchmaker. This is a subtle and sleek looking watch on the wrist-one you can wear daily. Just $1195.